Like my own dad, my wife’s step father was also indentured to work in Germany during WW2. I have reflected in the past on the tragedy of these young men having crucial years stolen from them. (Being Content in a WW2 Workgang) Today I simply want to include a few photos that give us a glimpse of that time: the good, the bad and the ugly – and the downright strange. 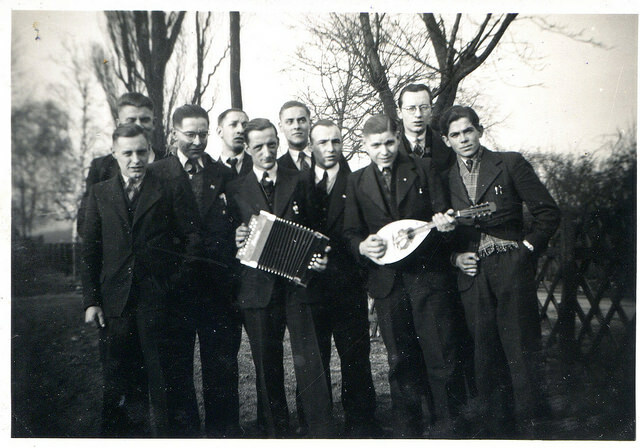 The striking thing about this photo is both the fact that the young men organised themselves into musical groups but also took pride in their appearance. This this one of the more bizarre photos. 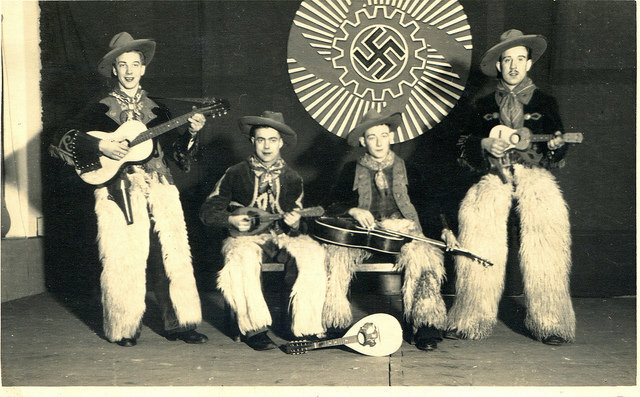 Dutch cowboys in a Nazi hall during an entertainment evening. This was a time of war. 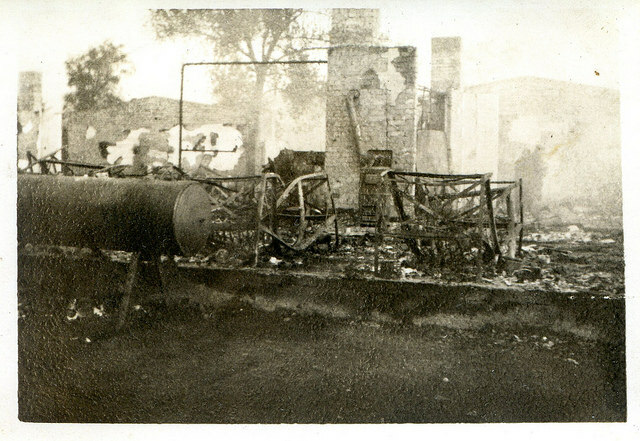 The workers’ barracks were bombed by the allies. The Allies may have heard of the appalling costumes in the earlier photo. So naturally the workers had to rebuild their own accommodation. 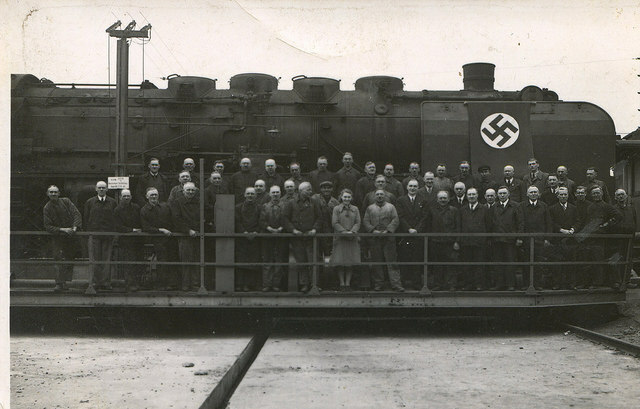 My wife’s stepfather worked in a railway workshop. I am intrigued by the presence of a lady in the middle of this photo. 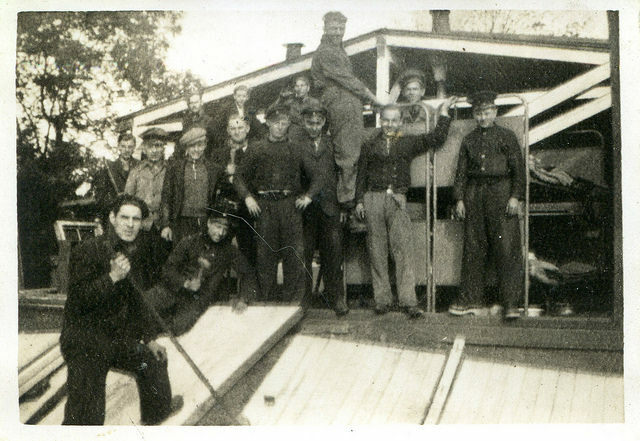 Like your dad and your wife’s stepfather my dad was also in a German work camp during the war. Maybe a good idea, when we think we’re doing it hard, to reflect on what our parents went through and survived. That thought has sobered me up and stopped me complaining often Ron.